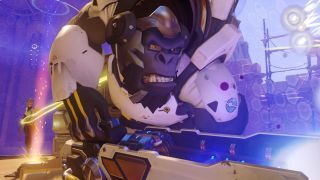 Obviously, everyone wants to get Overwatch's play of the game but in something with as many varied characters and abilities as Blizzard’s shooter how can it tell who was actually the most useful? Speaking to Gamespot, lead software engineer Rowan Hamilton explained a little more about how the game knows, or tries to know, who did the best thing: “From a technical standpoint, it's a really hard problem to have a computer figure out what is cool. They're not very smart. They take some numbers in, they put some numbers out. It's hard to figure out what is cool there”. The system clearly works (to varying degrees) though, so what’s it actually doing to achieve the current results? “There's a lot of different variables, explains Hamilton. “There's obvious stuff like damage and kills. There's stuff like healing. I think at point when we were tweaking it, Zenyatta would almost always get Play of the Game every time he popped his ultimate because he would just do this massive amount of healing and the algorithm would almost always freak out, but it was just Zenyatta just sitting there floating”. So it's important that it's not just the biggest numbers for healing and damage that trip the switch. “A lot of support actions come into it,” Hamilton confirms. “We've added some stuff recently, such as determining how hard a shot was to hit based on how fast the target was moving, how far away the target was moving. So a snipe of someone half a screen away who was just chilling out and waiting to be headshot won't be weighted as heavily as a Tracer zipping across, barely in sight”. And it’s still a work in progress, with the team continuing to push improvements. “We're constantly looking at different things we can add,” says Hamilton. “We have a lot of cool systems internally where we can play with the algorithm that determines Play of the Game and play the same game back again, and be like, "Okay if I tweak these numbers, what's going to be the Play of the Game that gets picked this time? It's going to be an ongoing process, and hopefully we continue to improve it”.